Okay, okay, I understand. 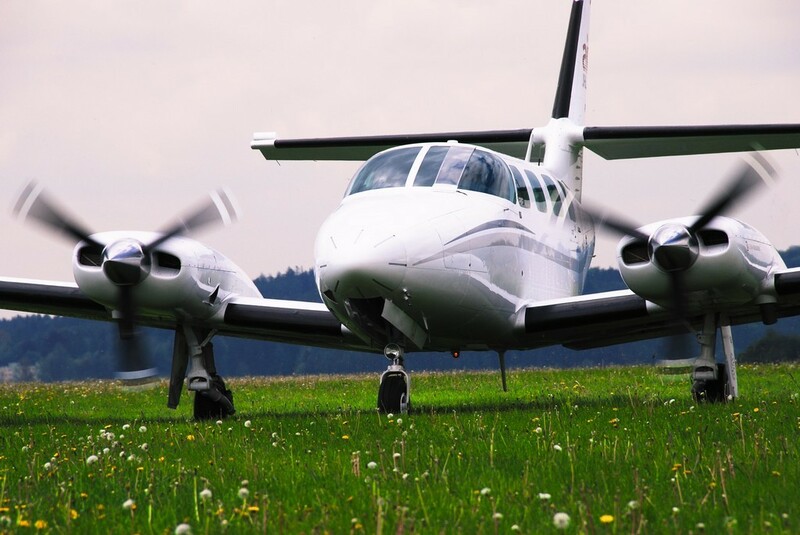 Few pilots would classify a $300,000, twin-engine, business airplane as “economy travel,” but you need to consider the frame of reference before you pass judgment. I’m not sure what I expected when I traveled back to Wichita in the fall of 1981 to fly one of the first Cessna 303 Crusaders. It certainly wasn’t what I was prepared for. I’d been hired to deliver the first Crusader outside the US, serial number 00019, in winter of 1981. I picked up the airplane at the factory in Wichita and ferried it to Johannesburg, South Africa—more on that trip later. The buzz at the time was that Cessna had grown tired of allowing Piper to dominate the light twin market with the Seneca II, and accordingly, they’d come up with their own six-seat airplane that would put them in the hunt for the same buyers. Cessna had stuck with the 310 as its entry-level, multi-motor machine, a medium twin with performance that equaled or eclipsed pretty much everything except the Aerostar 600A in the mid-level, multi market. In fact, the Turbo 310’s quick climb and rapid cross country cruise even put it at least equal to the company’s own pressurized 340 and 414. A few years before, Cessna had designed and flown the model 303 as a light-light twin, the four-seat Clipper. After all, Cessna was the acknowledged leader in primary flight training with the 150/152, so it would only be logical for them to pursue the multi-engine training market as well. Fortunately for Cessna, they had a change of heart when the mini-twin market didn’t take off as hoped. They redesigned the 303 to a six-seat corporate traveling machine similar to the company’s pressurized 340, but with an unsealed cabin and 250 hp per side, complete with counter-rotating props. The resulting model was dubbed the Crusader and granted an airstair door at aft left. Introduced as a 1982 model, the airplane premiered at a base price of $229,500, and Cessna discontinued the 310 from the company’s lineup to make room for the addition. Unlike the 310, which had offered your choice of normally-aspirated or turbocharged power, the 303 was only produced with blown, counter-rotating, Continental L/TSIO-520-AE engines. In contrast, the inflatable Cessna 340 had a base price almost $100,000 north of the 303’s bottom tab. However, the more relevant competition (and the Crusader’s primary target) was the Piper Seneca III, priced at a base $214,870. At the time, the Seneca was the world’s leading light twin, with a combination of utility, performance, and comfort that no one could match. At the time, Piper had a history of building viable light twins, from the Apache and Aztec to the Twin Comanche. Coincidentally, my company airplane in the late ‘70s was a Seneca II, and it was a highly flexible and talented machine with good short field performance and excellent operating economics. The turbocharged Continentals allowed the airplane to operate safely from high altitude strips and cruise in the flight levels. The Crusader definitely had its work cut out for it. Structurally, the new Cessna twin was a notably larger airplane. It stood almost three feet taller, had two feet more fuselage and an empty weight over 400 pounds heavier than the Seneca’s. Cessna hoped their airplane’s double clamshell, airstair door; large, cabin class, six-seat interior; forgiving trailing beam landing gear and extra power would make the 303 attractive to Seneca prospects. At first, that seemed to be the case. First year (1982) sales totaled 175 Crusaders, roughly $52 million worth, an auspicious start. In contrast, Piper sold some 179 of its new Seneca IIIs in the same year. In 1983, Piper beat Crusader sales 115 to 71, and in 1984, Piper again outnumbered the Crusader 87 to 57. That was enough for Cessna, and they retired the model 303 for good. In fairness, the Crusader may have been a better airplane than its short production run might suggest. The model’s three-year life was probably more a sign of the times than any shortcoming in the design. The demand for twins was declining dramatically in the early ‘80s. Beech discontinued its macho B60 Duke in 1982 and dropped its beloved B55 Baron in 1983; and Piper terminated the popular Aztec in 1981 and shelved the Navajo Chieftain in 1984. My initial exposure to the Crusader was far more than the usual quick ride around the patch and an air-to-air photo session for a magazine cover. As mentioned above, I contracted to deliver the first Crusader outside the US. I first took it to Florida for tanking, then flew the airplane to Bangor, Maine, cleared customs and hopped over to St. Johns, Newfoundland. From there, my route was Funchal, Madiera Islands; Abidjan, Ivory Coast; Libreville, Gabon; Windhoek, Namibia and, finally, Johannesburg. It’s just under 10,000 nm from Wichita to Johannesburg, roughly halfway around the world. I knew the trip would require about 65 hours or ten days to complete. At the time, only Cessna’s flight test engineers had more experience in the new Crusaders. I was to be the first pilot to fly the 303 across an ocean, in this case, diagonally from Newfoundland to the Sahara above one of the angriest bodies of water on the planet – in December. The only good news was that beyond St. Johns, the weather would be improving from deep winter to perpetual summer. Technically, the Crusader was capable of cruising at 25,000 feet and 195 knots, but in the overloaded condition, it probably would never come close to that altitude or speed. Down at 11,000 feet, cruise was about 165 knots heavy, 170 knots light. “My” Crusader for the trip to Africa was approved for operation at 6100 pounds under a Special Airworthiness Certificate, right at 20 percent over gross. Nevertheless, on my first, long international leg, from St Johns, Newfoundland to the Madiera Islands, with all tanks topped, the airplane climbed up through the icing better than I might have expected, lofting up to my assigned IFR altitude of 11,000 feet in only 14 minutes. Under more normal conditions, I might have expected 1400 fpm at sea level, 1000 fpm at 11,000 feet. The leg went without incident, and Funchal came into view right on schedule. The airport is a little tricky, built on stilts at the apex of a small, half-moon bay. The approach is a continuous arc around to touchdown, leveling the wings on short final. The runway isn’t that short, but winds can be a challenge, as it’s anything but a stabilized approach. The longest leg in the Crusader to Africa was the second Atlantic hop, 1850 nm from Funchal across the Western Sahara to Abidjan, roughly eleven hours in no-wind conditions. Accordingly, I was off Funchal two hours before sunrise. I crossed the coast of Spanish Sahara and headed for Mauritania and Mali as dawn was splashing color across the desert. Even in December, the Sahara knows no season but summer, with occasional sand storms but rarely any significant weather. I climbed to an initial 11,000 feet, then later, when the airplane had burned down its fuel load, I ascended to 13,000 feet. There’d been reports of rebels taking pot shots at airplanes, and I was determined to keep their target as small as possible. Crossing a small, western corner of the world’s largest sand pile required 11:10, and I finally landed at Abidjan, hard on the Gulf of Guinea, with an hour’s reserve fuel, not enough for such a long leg. Fortunately, the trip became easier after that. My next day’s travel was only 850 miles across the gulf to Libreville, Gabon. America has major oil interests in Gabon, so Americans were generally well-treated in this small African country, one degree north of the Equator. Predictably, the Crusader attracted attention wherever I went, as no one had seen an actual airplane, only news photos. Many pilots were surprised at the size of the airplane, and almost without exception, everyone loved the big cabin. My ferry permit prohibited taking anyone for a ride, probably a good thing, as every pilot I talked to was eager to see how it flew. The leg from Libreville to Windhoek, Namibia, was only 1450 nm, but at the time (late 1981), Angola was not friendly with the U.S. The standard procedure was to fly south to Tchibanga VOR on the Gabon/Congo border, then divert southwest out over the Atlantic to a point 50 miles offshore and correct back to a southerly course. We’d parallel the coasts of Congo and Angola until we spotted the solid white Tiger Peninsula near the coast. That signaled the mouth of the Cunene River, Angola’s southern border with Namibia and our cue to turn back southeast toward the barren Namib Desert. In contrast to so much of North and Central Africa, Windhoek felt almost like home—Southern California with a Dutch accent. At Eros Airport, I consigned the airplane to be cleaned up, checked into the Kalahari Sun Hotel in downtown Windhoek for a day off, and prepared for the final short leg. I also began planning my return to the U.S. on a South African Airways 747. Two days later, I launched across the bleak Kalahari Desert, wondering if it was true that people actually lived down there. My Crusader was greeted with great joy at the South African Cessna dealer on Rand Airport in Johannesburg, only two days before New Years. The dealer had a major unveiling scheduled for New Years Day, 1982, and a group of mechanics leaped into the airplane the minute the props stopped turning and began tearing out ferry tanks, packing up my HF radio, reinstalling seats, and returning the Crusader to standard configuration. Two years later when Cessna discontinued Crusader production, I couldn’t help reflecting on that first airplane that carried me safely across the Atlantic when no one knew what to expect.